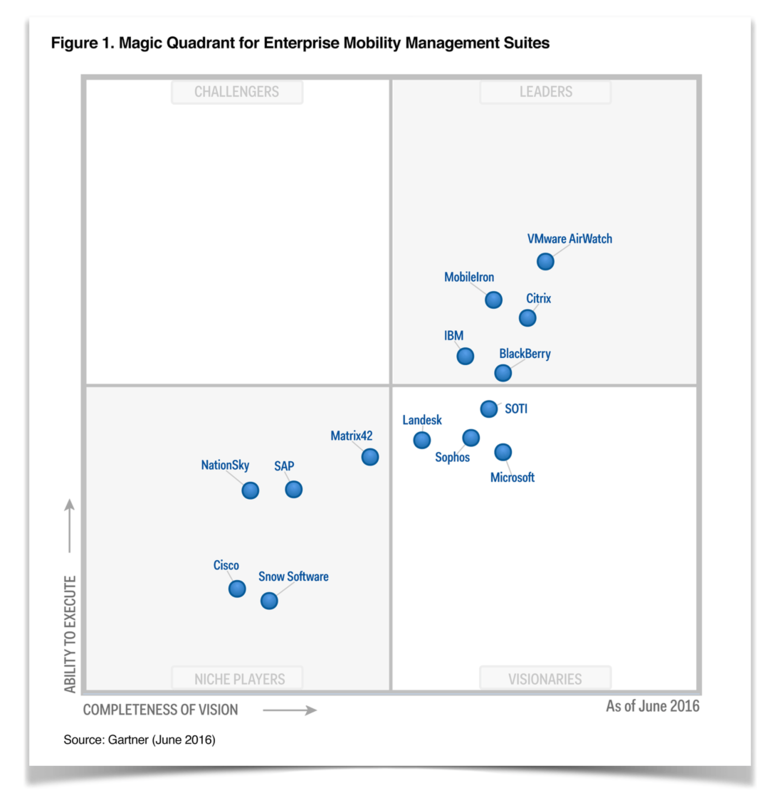 For the third year, Citrix XenMobile has been named a leader in the Gartner Magic Quadrant Report for EMM. Citrix was the first EMM vendor to deliver the most comprehensive suite of homegrown, containerized productivity apps. As a result, Worx apps continues to be the most mature and feature-rich suite of apps available from an EMM vendor today. XenMobile is building Citrix ‘s app leadership with new innovations in the area of end-user experience and containerized productivity apps. The newest offering, Secure Forms, is the first platform to completely empower non-technical users and line of business workers to build and deploy their own mobile apps and workflows. XenMobile is a perfect fit for companies that already have an investment in Citrix and need to deliver any app—virtual, SaaS, web, mobile—to mobile devices. It is of course simpler to buy from one vendor, but it’s the workflow integration’s between the core Citrix products that benefit their customers most.